I think that your solution is incorrect. 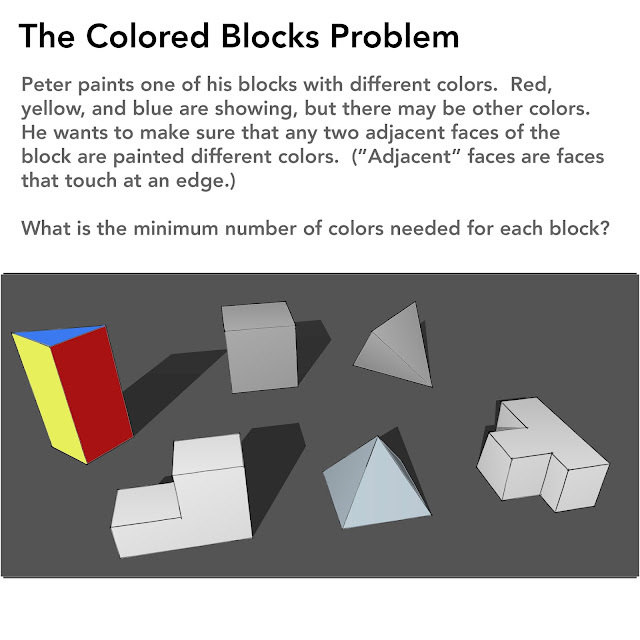 I believe that the L-shaped prism and T-shaped prism can be done in fewer colors than the solution states. Thank you for catching that. Right. They can each be colored with 3 colors.